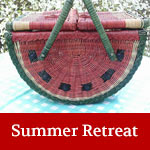 Our 28th Summer Retreat will be a day packed with fun events in a lovely wooded lakeside setting. Sunrise Park is a peaceful place to enjoy nature, catch up with friends, make new friends and indulge your passion for basket making. 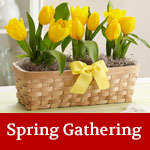 There is a NON member special to introduce basket weavers to NBG and our events. See registration form for details. We encourage everyone to use the online registration. Class times are varied and weaving will be available until 3 pm. We will not hold an auction. Door Prizes have been donated. No further donations accepted that day. There will be a drawing for this year’s Traveling Basket. Last year’s winner (Mary Ducat) will pass a new basket to this year’s winner. Coffee, tea and water will be provided by NBG. If you would like to bring a food item to share like fruit, nutritional bars or other light snack, please let Kathy Cain know cainkathy@verizon.net the item and amount. Thank you. 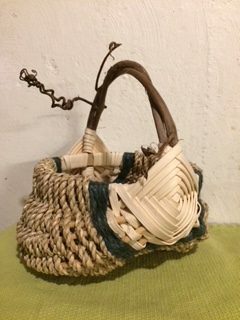 Small egg basket with grapevine handle. You will learn to create your own hoops with round reed. Determine your own size and shape with a basic sort of rustic way of adding ribs. Each student will begin with a unique grapevine hoop, weaving with reed and seagrass. Hoops are 4 – 8”. This mini rectangular basket is perfect as an ornament for the holidays or as a gift. 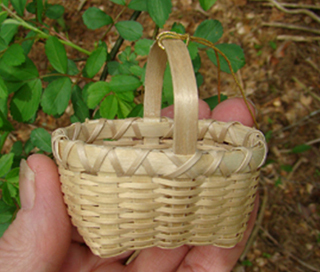 Students will make one or two baskets during class with pre-cut spokes and weavers. Handle and rims are also made with black ash, as well as the satin lashing. 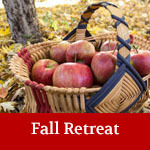 This enjoyable class is great for all levels of weavers. Using beautiful Jacquard Process MX dyed buff (peeled) willow in a most wonderful range of over dying colors, students will weave a willow fruit basket and have a large choice of side weaves where the colored willows can be incorporated! Students will learn a technique for a solid basket base. 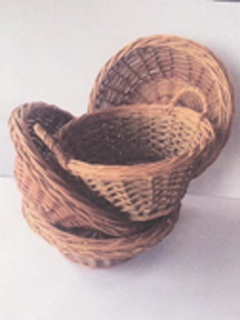 Free form shaping will be taught to create the reed basket shape – flat in the back and round in the front with a graceful taper to the top of the basket. Students will scarf their own rims on the teacher’s shave horse. 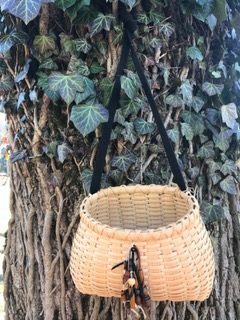 Shaker tape will be used to create a sturdy cross body basket that can be used both as a pocket book or displayed decoratively when not in use.